I will be celebrating my 12th birthday in three weeks and I need help! I have both girl and guy friends that I plan to invite to my party. However, I’m really nervous about how to make it fun for everyone. The last thing I want is for the girls and guys to sit on separate sides of the room and ignore each other. Can you suggest some fun party themes, food, activities, etc. that will make my party a big success? As someone who’s been to more than my fair share of awkward boy/girl parties and dances, I can definitely help you with this! Run a funny selfie or group photo contest – with prizes. Kids are going to take out their phones to text or look at Facebook. It’s just the way it is. Instead of trying to fight it, give them something to do with their phones. Buy a gift certificate to your local pizza place ahead of time, and then have everyone vote on the funniest picture. Play the celebrity game – for anyone who wants to play, tape a piece of paper on their back with the name of a celebrity. Then they have to ask other people questions to try to figure out who they are. It’s kind of cool because you usually end up talking to lots of different people before you figure it out. Ask everyone to come up with one activity idea, and then have the group vote on which ones to do. You know they’ll like the activities then – they’ll be their ideas! Set up an ice cream sundae bar – This is something your mom might have thought of, but this is the one thing 5-year-olds and 12-year-olds have in common. Who doesn’t like making their own sundae with a huge selection of toppings? If you are an only child get a baby sister. I got one in February! You can get her into Dork Diaries and teach her Brandon’s advice when she’s 12 and wants a fun boy/girl party! Also you are lucky that you are 12. I’m only 9 1/2! My birthday is coming up in a week too! Thanks, Brandon, for the ideas! I’ll be sure to use them. I agree with Brandon. Do not let your mom plan any activities! Unless you’re okay with them. I feel like all moms (especially mine) does those kinds of things! And there are more! Use your imagination and come up with more fun-filled ideas! You can search up some party food or come up with your own custom ideas! I hope this helps! P.S. Need advice? Feel free to ask and I'll get back to you ASAP! What should I do if I only have one guy friend I want to invite but then I think it would be way too ackward to only have one boy in the party with all the other girls. Also my friends might tease me…What to do in this situation? Hi Dorky Diamond Diva! Fantabulous ideas! I love it! I’d also like to ask for advice! It takes a whole lot time for me to warm up to new people, and when those people start to like my shy self, I warm up to them, and I act different from when I was shy. I’m worried that those people won’t like my real self. What should I do? Happy early Easter! Oh! Also, Happy early Birthday to you too! A dorky smile and a hug for you! I have two friends and they both are not really my type. I was hoping they would be my Chloe and Zoey but boy was I wrong. I forgot to mention…..make sure you don’t embarrass anyone if you’re playing Truth or Dare! They’ve given me ideas for my birthday! I am having a birthday party soon and my mum and dad are planning on inviting their friends the problem is that their friends kids are so annoying and steal my slime and my toys! They always manage to get into the room with party bags and put all the good stuff in their party bag. They also want to play with me and follow me around when all I want to do is play with my friends. I feel like their security guard and not their friend. Thanks! That’s so nice of you. I wish I could invite you to my party. I love you so much! And sure, I’d love to help you! I understand. I am actually a very shy person as well, and I have trouble feeling comfortable while talking to new people. But I think you should choose to be whatever suits you the best! If you want to be more social, then that’s okay. I’m sure they would like you for you. I know it might not seem like it at first, but once they get to know you they will realise what an awesome person you are. I think your friends won’t tease you. If they were your true friends then they wouldn’t do that. And I see what you mean about the awkwardness. It would be a little awkward, at least at first. But I think if you really like him and are good friends with him, it’s always best to invite him. You will realise that it won’t be so bad! Well, Nikki recently posted advice with some of your problem, so make sure to go check that out (I think you did, since you two have the same name). If you aren’t happy with your friends you have and feel they they don’t treat you well, then try finding new friends. But I would say, that before you do so, to talk to your friends and tell them how you feel. They would probably understand, but if they don’t then you may need to make new friends. I understand that it’s hard to find the perfect friend, but time to time you will realise how special your friends are! Thank you all! I hope this was helpful. Thanks! I’m so happy you found this helpful. 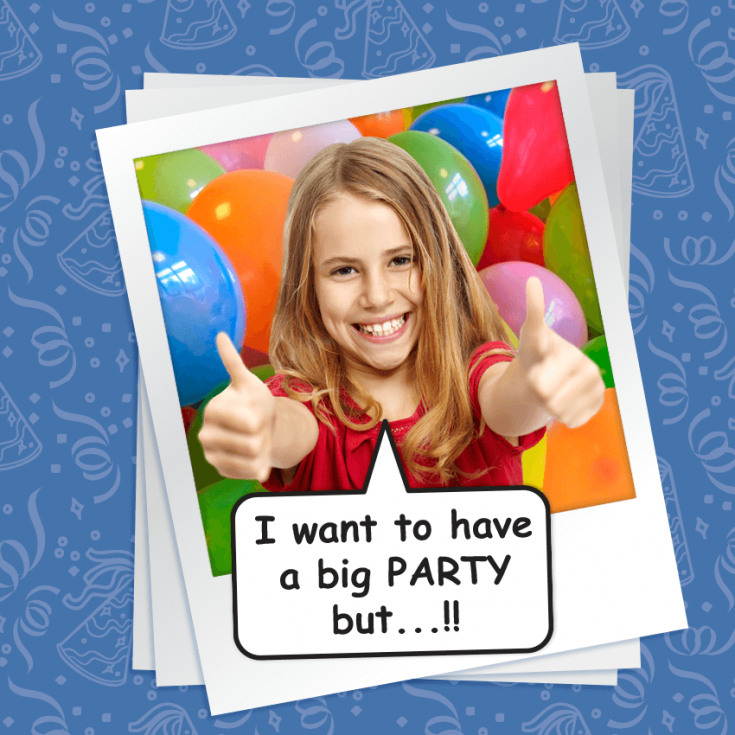 Your birthday celebration will be spectacular, that’s for sure! Thank you! Extra thanks for the birthday wishes. Your advice is great. I know your birthday is coming soon, so happy early birthday! Our birthdays are close! Thanks so much! That’s so sweet. It’s a coincidence that we both have April birthdays! I wish I could invite you to my party. You’re a great friend! I’m happy I inspired you! I usually think through my advice and what I’m going to say in my head, and see if it would actually help the person. I also try to make it a bit humorous. That must be a tough decision! Bullies are very cruel people. If I were you, I would look at the past and see how many times she seemed to torment you, and how harsh. If she always tried to make you feel bad and never was nice to you, then I would say to not trust her. However, if she was cruel to you but then apologize, then you should probably see if she really means it when she apologized. For example, see if she treats you nicer. But don’t trust her too soon, because she may be lying! If you believe her, then you can give her another chance. Oh my goodness, how you can just hate little kids! The most annoying things they do. I feel you. Before I get too into this, I wanna say that before you do anything, realise that they are little, and they don’t know much yet and are not mature. They enjoy running around and stealing the spotlight. And also, playing with you! So, their actions are normal, even though it is very annoying. First, I think you should speak to those kids and tell them that you would like it if they let you play with your friends and not steal your things. To make them happy, then offer to play with them for a while too as long as they follow your rules. Also, talk to your parents and your parents’ friends and tell them how you feel. If you already talked to the kids, and they didn’t listen to you, then make sure to tell your parents what’s going on. They need to help you, because it can be too much! Thank you all for writing to me! Hope you have a good day! That advice was really cool and will be helpful for my upcoming birthday! Me too! Try a scavenger hunt and you’re going to have an awesome party. 4 try making tasty foods of everyone. Same I haven’t had a party in years too . My Advice is you can make a cake for boys and girls. Play games that everyone likes like Monopoly. Really probably everyone likes swimming so you can make a pool party. Yes! I know the food that everyone likes Pizza sandwiches Ice cream Fruit and Veggies they are healthy. Cake of course! Sweets and a snack bar will work perfectly! And also Happy Birthday! I really hope you have a dorktastic Birthday! Also, put popular music like Bruno Mars, Taylor Swift, Camilla Cabello, Harry Styles, Charlie Puth, Shawn Mendes, and lots more! Also run a photo booth! Hi Paris De Dork! Great ideas there! Hi Paris De Dork! Great ideas there! I like to play Monopoly! Great advice and I LOVE those ideas. Well for starters I hate music from now, I would put 70s, 80s, and 90s music. But all of you other advice is great! Good advice BUT you should TOTALLY let your mom in on the fun!!! If she’s anything like mine, you’ll know it’s the one thing Brandon was wrong about, and your mom would make the party even more fun! Omg! I totally get you! My mom is awesome. Great ideas! I’m sure people at you’re party would have a BLAST!! Hi Party Pooper! Happy almost Birthday! I know how u r feeling. It can feel very stressful when u have two genders of friends and they don’t get along. Do a dance party or something at ur party!! Then they can become closer and make ur birthday party AWESOME! I share the same birthday as another girl who is WAY more popular than me. If I sent an invite to everyone in my class, only one would probably show up. I’m okay with it. I like to hang out with just my parents on my birthday. My 12th birthday is in about 3 weeks too! Here is my advice:Try and think of things that girls and guys like. A pool party is fun for example, because both like to swim. Or you can play board games like Life, or Sorry. Another fun thing you could do is play outside. There is many games and things you could do outside. You could play tag, hide and seek, play on your play ground (if you have one), or just take a good look at nature. It is very pretty. And it will be a good time to go outside, because in 3 weeks its probably going to be May. And May is very warm. Also, you could do what Nikki did in Dork Diares 11. Not only can you have a science themed party, but you can hand out free sunglasses too. And the best thing is that girls and guys were at that party and they both liked it. Another idea is to (maybe) play sports. Most girls and guys like sports, so it can work out. Also puzzles are really fun. You can try doing those super fun challenging puzzles that involve 100 pieces. I hope my advice helps! You have come up with some REALLY cool ideas! Hi Best Artist Ever! Nice advice! Happy early Easter! Your pal, Best Artist Ever. There is no such thing as too much advice. First, don’t, I agree with Brandon, put on cheesy slow music. Here are some ideas to make it fun! – Yes! I agree with Brandon. Run a funny selfie or group photo contest. For food, here is some: Pizza, ice cream, brownies, cupcakes, cake, and of course you could do healthy stuff. I hope your birthday party turns out like how you expected it, or better. I hope my advice helped! Awesome ideas! You guys are giving me ideas to plan for my own birthday party! Oops. I meant DON’T put on cheesy slow music. That was a mistake. Sorry! Hope you agreed with my advice! Hi Dorky! Great advice! I’m sure it would help Party Pooper! Happy early Easter! Hi Dorky! Wonderful advice! I’m sure it will help Party Pooper! Great advice, your advice never fails to impress!!! First of all, HAPPY BIRTHDAY!! 😀 I totally get how boys and girls DON’T get along sometimes. But don’t worry! Everyone can have a lovely birthday! I think it’s good to pick a concept for your party. If you’re going to going to have a movie with popcorns, decorate your house like a cinema. And that depends on which genre your movie is going to be. Whether it’s adventure, horror, fantasy etc. Or if you’re going to blast music and play games or dance, decorate your house so that it gives people the exciting vibes! But make sure that everyone can enjoy! For games and activities, Brandon’s advice is great! Great advice Brandon! I held a birthday party last week. Cool!!! Great idea for a great party! Hope u will have a wonderful birthday party. And wish u a HAPPY BIRTHDAY! OMG TY Brandon!! I was about to have a party.. Everyone thinks my competitions/parties are boring. *Welp* Anyway thanks for your advice! Your lucky! My dad would never let me have boys over! Who does Brandon like (Nikki or MacKenzie)?